Former Israel Air Force commander says Israeli strikes against Hezbollah prevented escalation and acted as a deterrent to war with Israel. The IDF carried out nearly 100 strikes in the past five years on convoys carrying weapons to Hezbollah and other terrorist groups in Syria and elsewhere, a general said Thursday. Former Air Force Commander Amir Eshel told Israel's left-wing Haaretz newspaper that "since 2012, I'm talking about many dozens of strikes... the number is close to being three digits." "An action could be an isolated thing, small and pinpointed, or it could be an intense week involving a great many elements," he said of the strikes. Since Syria's civil war erupted in 2011, Israel has maintained a policy of attacking arms convoys intended for Lebanese terror organization Hezbollah, which is a key supporter of the Syrian regime and fought a devastating war against the Israel in 2006. Israeli Prime Minister Binyamin Netanyahu said last year Israel had "taken military action" against Iranian convoys leading weapons to Hezbollah "dozens and dozens of times." 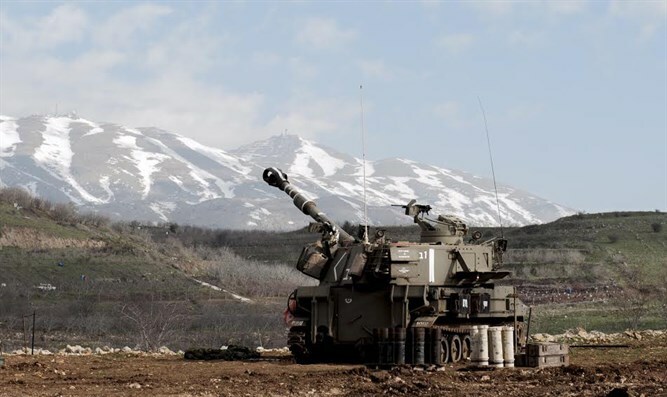 Israel also carries out strikes in retaliation for spillover in fighting on the Golan Heights facing Syria when rockets or other projectiles have landed in Israeli territory. According to Eshel, who was commander of the air force for five years, the strikes had been precise enough to avoid escalation, but at the same time had served as a deterrent to war with Israel. "I think that in the view of our enemies, as I understand things, this language is clear here and also understood beyond the Middle East," Eshel told Haaretz. He did not specify the location of the strikes, but Haaretz said they were carried out on a number of different fronts. Hezbollah is preparing for war with Israel, and in fact has promised to "surprise" the IDF in "any future conflict." They have also sworn to defeat Israel, hit Haifa's ammonia tank, and strike Dimona's nuclear research center. Israeli experts have noted that the Lebanese army is a unit under Hezbollah's control, and that Iran has provided Hezbollah with weapons factories.